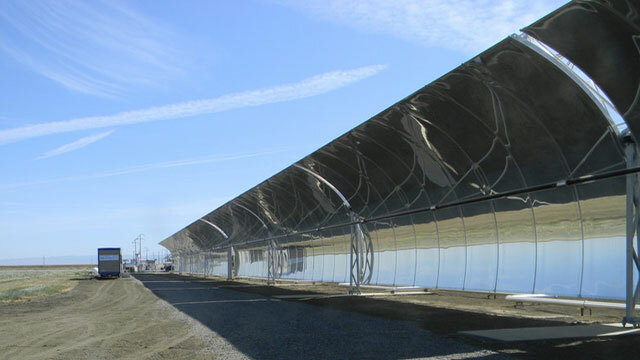 The world’s largest concentrated solar plant (CSP) opened earlier this year in California, and the United States is not alone in its quest to become a major supplier of solar power, and to shift the demand for power necessary to desalinate onto renewables. In California, where drought has reached an all-time record, companies are currently investing in using renewables to treat brackish wastewater and groundwater. In the San Joaquin Valley, for instance, entrepreneurs at WaterFX have constructed an experimental solar-powered desalination plant that uses the power of solar radiation to generate high enough temperatures to separate salt from water recycled from irrigation runoff. This plant, which uses about half the energy necessary to desalinate water via reverse osmosis at half the cost, could inspire a revolution in a water hungry state. Reduction in energy use, particularly from thermally-generated electricity, could also do a lot to abate GHG emission production. Other regions stand to benefit from using renewables like solar power in water production. In the water-scarce MENA, there are already investments in solar powered desalination plants scheduled to come online. Solar-powered groundwater pumps and irrigation systems are also being evaluated as a long-term option to sustainably manage growing energy demands from agriculture in India. 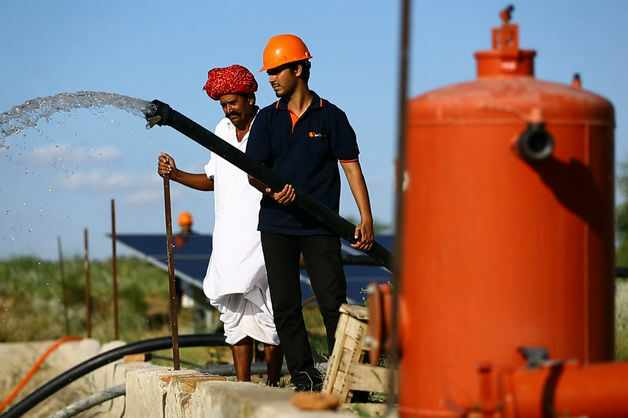 Early this year, there were talks in India to replace 26 million diesel-powered groundwater pumps with solar powered ones, resulting in a projected $6 billion USD a year savings in power and diesel subsidies. Redirected electricity production from solar power will also take pressure off of India’s fragile and unpredictable energy grid. Solar powered pumps will also result in a lot of co-benefits for local stakeholders and small scale farmers. To prevent excessive water use, solar powered pumps are often subsidized in an agreement to use drip rather than flood irrigation. Anything that can lead emerging economies like India to move toward phasing out fossil fuel subsidies is a step in the right direction. India expended more than 40 billion dollars in oil, natural gas, coal, and electricity subsidies and with the elections this year, a reversal through political channels is not likely. This is why the private sector is stepping in- with India listed as one of the top ten most attractive places for investment in solar power, international and Indian firms BlackRock Inc (BLK), SunEdison Inc. (SUNE), Jain Irrigation Systems Ltd. (JI), Claro Energy Pvt., and Tata Group’s solar unit are looking to start building. These changes are slated to occur in the next five years with 100 billion rupees of investment from players like those listed above according to government estimates, and so it will be crucial to keep momentum going.